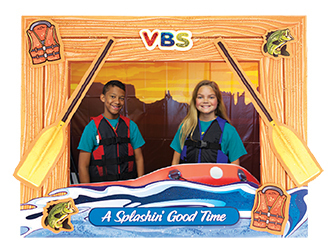 Make the VBS memories and keep them front and center with this colorful cardstock Raftin' River Frame. Includes fun miniature pop-out oars, fish, life jackets, and more to add to the decorating fun. 7 x 9 inches. Pack of 12 cardstock frames.